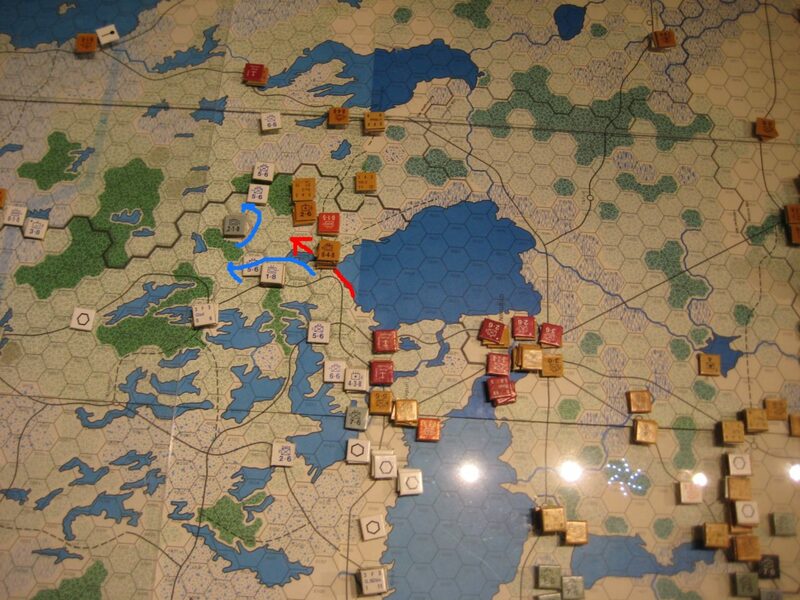 Leningrad: The 10th mech continues to push into the Finnish right flank and now swings north towards Joensuu driving a Finnish 5-6 with tank support towards the city. The 10th then pauses fearful of pursuit because there is insufficient support from other Soviet forces and the commander fears encirclement. In the Valdai freshly arriving troops are railed to the front and assault the 6-10 mech unit on the Dno road but the attack is stalled by the German defenders. Moscow: Fortification and reinforcement continues along the line. The trapped mech/tank units are abandoned to their fate but air cover gives some comfort. The remaining mobile units fall back to take position behind the MLR ready to respond and counter any penetration of the line. Kursk: With Kursk lost the whole Soviet line wheels back like a great door swinging East, pivoting on Tula and stopping at Voronezh. The Stalino line is reinforced with a combination of new troops and those marching east from the Dnieper. Only a short section of line between Voronezh to just east of Kharkov is not continuously manned. And even here it is at least Zoc’d. Those formations which cannot reach the safety of the line turn on the encircling Panzers to isolate and hinder the advance realising that their time in mother Russia is soon to come to an end. Kiev: Kiev prepares for the inevitable assault as does Odessa although the Black Sea fleet maintains full supply despite damage inflicted last turn from the Luftwaffe. Along the lower Dnieper the forts so recently built are dismantled and recovered materials are shipped back to the main line. 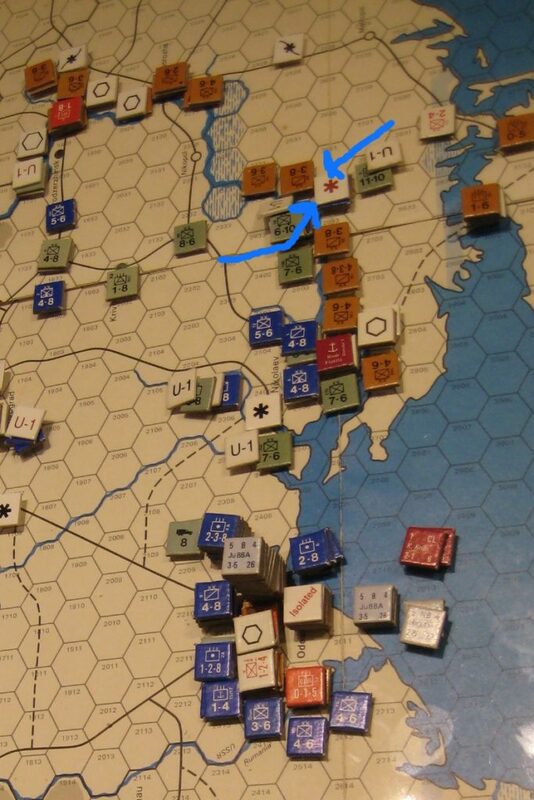 Minimal garrisons remain at Dnepropetrovsk and Zaporozhe to slow the Axis advance.. Most units fall back into the Crimea but a few screen the now U2 2nd Pz. Kharkov; Kharkov stands alone some 80 miles forward of the line and is fully stacked with the Commissariat providing political education and resistance.